You are cordially invited to play in the 2018 NMC Scholarship Open on Thursday, August 2, at Grand Traverse Resort. This day of fun and friendly competition provides vital support for Honors, Presidential, Founders, and Academic Area Merit Scholarships at NMC. 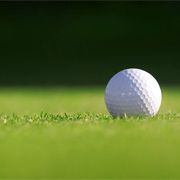 Golfer fees are $225 per golfer for the public, but NMC employees and retirees will receive a special price of $200! Registration fees may be paid through payroll deduction. Contact the NMC Foundation at 995-1021 to learn more or to register.